First Day Collections of Ninnu Kori | Nani News First Day Collections of Ninnu Kori: Nani's latest outing Ninnu Kori opened to packed theatres all over and the movie raked huge figures on its first day all over. Natural Star Nani is one actor who is in huge demand in Tollywood now. The actor suffered massive debacles in his career and he struggled a lot. After a small break, he is back with Yevade Subramanyam with which he started his success streak. He scored massive hits with Bhale Bhale Magadivoy, Krishna Gaadi Veera Prema Gaadha, Gentleman, Majnu and Nenu Local. The actor scored six blockbusters in a row and he is back with his next movie titled Ninnu Kori. 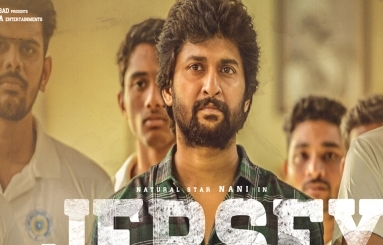 The movie carried massive expectations as Nani scored massive hits in the recent times. Even the trailers and the songs looked promising, which raised the expectations on the film even before the film’s release. Ninnu Kori has been directed by Shiva Nirvana, a debutant and the movie is said to be an emotional romantic drama. Nivetha Thomas who romanced Nani in Gentleman is the female lead in the film and Aadi Pinisetty essayed the other crucial role in the film. Ninnu Kori released in record number of screens and in USA alone, 500 premieres have been planned. Ninnu Kori received exceptional response from the audience all over and the movie has been declared as seventh hit for Nani in a row.